Pad-mounted transformers are generally mounted on the ground for underground distribution networks. 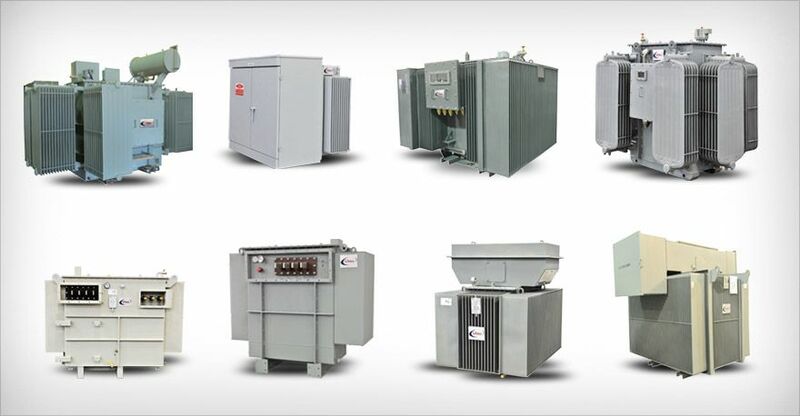 These types of transformers are generally used for urban and rural residential, commercial and industrial loads. These units are generally equipped with cable boxes or compartments for terminating the cables on HV and LV bushing terminals. Cable boxes with HV and LV terminals either at opposite sides of the tank or on the lid. Compartments with HV and LV terminals on same side of the tank comply with ANSI / IEEE standard. HV side is dead or live front which is arranged either for loop or radial feed. Utec’s Pad Mounted Transformers are oil immersed, generally hermetically sealed type. The tank is designed to accommodate expansion of oil during loading through the use of corrugated steel sheets. Sealed type tanks with detachable radiators having gas space which is normally filled with Nitrogen on top of oil or free breathing type having oil conservator can also be offered as per customer requirement. Safe, reliable and easy for operation. Compact design and aesthetic appearance. Economic and efficient to reduce network loss and working cost. Low temperature rise and long service life. High short circuit and insulating strength. Utec’s standard proven surface treatment. Robust construction for long time transportation under various conditions. Winding Temperature Indicator with Two Contacts.